PLANNING EXPERTS will be among the new group that will examine the implications of An Bord Pleanála’s refusal of permission for the new national children’s hospital. Sources said the group, to be established by the Government and chaired by former Health Service Executive chairman Frank Dolphin, would comprise five or six members, among them people with both strong planning and clinical expertise. OPINION: THE AN Bord Pleanála decision on the proposed national children’s hospital came as a shock to many, a shock still reverberating. Yet the priority now must be to embrace a collaborative approach where the best outcome can be achieved in the shortest possible time. We need a holistic approach, one that assesses an agreed number of proposed locations against an agreed number of key considerations. (Why this has not happened to date – or has not happened to the degree necessary – is an issue for another day.) I have outlined four sample locations and benchmarked them on four grounds. Minister for Communications and Energy Pat Rabbitte has said the refusal of permission for the new national children’s hospital demonstrated the new for a finessing of the planning process. An Bord Pleanála refused permission for the development on Mater Hospital campus on the grounds that the size of the project would be an overdevelopment of the site. Speaking today Mr Rabbitte said the planning process "continually raises its head in terms of implementing necessary infrastructure projects”. THE MATER Hospital in Dublin remains the Government’s preferred site for a new national children’s hospital in spite of An Bord Pleanála’s decision to refuse planning permission for the €650 million facility. The fallout from the planning board’s decision to turn down the development on grounds including its height and scale is to be considered by the Cabinet tomorrow. THE NATIONAL Paediatric Hospital Development Board will meet tomorrow to consider An Bord Pleanála’s rejection of its plans for the Mater Hospital site in Dublin. One of the board’s members, publisher and Dragon’s Den panellist Norah Casey, said yesterday that people were “working round the clock” over the weekend to “see if we can come up with a plan to improve our offer to An Bord Pleanála”. The public commentary on the national children's hospital during the past few days has afforded a fascinating insight into Ireland's predominantly suburban mindset. The unconsciously pejorative term 'Dublin's north inner city' has peppered much debate -- a term, curiously enough, that would translate into 'Dublin city centre' for an equivalent site on the south side of the city. Likewise, the general public consensus that a 'greenfield' or 'M50' site should be deployed, in typical American sprawl style, over the inherent social, economic and civic benefits of a large brownfield site as part of a stimulating urban setting, speaks volumes of our sprawling, car-dominated culture -- ironically, a culture that promotes childhood obesity. 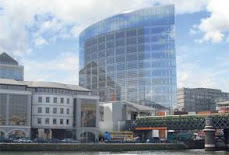 In its decision, An Bord Pleanala has stood up for urban life in Ireland by rejecting a proposal that would have grievously undermined the much undervalued architectural heritage of Dublin's north city centre and, in particular, by dismissing a project that paid scant regard to the provisions of an award-winning Local Area Plan that sought to accommodate this hospital and enhance the quality of life in the urban quarter. Also, remarks on this letters page on Saturday arguing for the side-stepping of the expert opinion of the board, and to blindly plough through due process, merely confirm we have learnt nothing from the spectacular planning failures of the recent past. In considering the board's decision, we must not lose sight of the fact that the national children's hospital is a major civic building and should unquestionably be located on a capacious and accessible urban site in the city. The fact that the wrong site was chosen should not dilute this aspiration. DUBLIN CITY planners have granted permission to Siptu for the demolition of Liberty Hall and its replacement by a much taller and bulkier building – described by one critic as having the attributes of a “Sumo wrestler”. At a height of 93.6 metres, the new tower would be more than half as tall again as Dublin’s first “skyscraper” as well as being significantly broader and would include a “skydeck”. THE board responsible for developing the national children's hospital is to meet on Tuesday to consider the shock decision by An Bord Pleanala to reject the controversial Mater Hospital site. The decision to turn down planning permission for the €650m facility took the development board completely by surprise and caused the steering group to cancel a planned study visit to Manchester children's hospital last week. Health Minister James Reilly will ask an expert committee to review the options but he suggested last week that a scaled down version of the project could go ahead on the Mater site. An Bord Pleanala ruled that the planned 16-storey building would have a negative impact on the city skyline and constituted over development of the site. Dr Reilly backed the Mater location after an expert group recommended it as the best on offer last year. According to documents released under the Freedom of Information Act, Dr Reilly was inundated with alternative proposals for a children's hospital after he took office. Those turned down included a free site near the M50 in north Dublin and an empty Elm Park office block in Blackrock, developed by Bernard McNamara and now in Nama. The empty Elm Park office block, near St Vincent's University Hospital, was suggested by a private asset management company, F&C Reit. An architect also proposed the same site, which he said was "slow to let" on the commercial market. Eugene Dunne, of KMD Architecture, argued that the block could be converted to a hospital, solving both "a headache for Nama" and meeting the requirement for a children's hospital co-located beside an adult facility. In another submission to Dr Reilly, a solicitor acting for Frank and Fergus Connon offered land in Sillogue, north Dublin, "gratis" and urged "those with appropriate expertise to take a quick look at the site and its potential and consider generally the merits of this most generous offer." George McGrath, of DFGM Properties in Galway, offered part of a 77-acre site in Kinnegad in Westmeath which is currently being offered for sale. Gregory Alken, of Brunello Developments, offered a site at Newlands Cross, which would be put together by a "small tidy development team" that offered to deliver the new children's hospital well under budget and within a speedy time frame. Dr Khalid Jaber, the Deputy State Pathologist, meanwhile, proposed that Dr Reilly should consider building a children's facility beside the James Connolly Memorial Hospital. Dr Jaber's proposal was included in a shortlist of three alternatives examined by an expert group last year, before it gave the go-ahead to the Mater site. The two other sites rejected were one near Tallaght Hospital and an offer from the developer Noel Smyth of a free site at Newlands Cross which he claimed could be developed for €200m less than the Mater site. An Bord Pleanala's decision has reopened divisions that have beset the development of a national children's hospital at the Mater. It has also left consortiums interested in tendering for the project in disarray, with millions spent already on preparing bids. It is believed the project could also generate up to 1,500 construction jobs. The past chairman of the children's hospital development board, Philip Lynch, was forced to resign for questioning the viability of the Mater site. His successor, John Gallagher, resigned when Dr Reilly announced a review of the Mater site soon after taking office. His review team again approved the Mater site after rejecting three alternatives; Tallaght, James Connolly Memorial Hospital and Noel Smyth's Newlands Cross. The new hospital, which was due for completion in 2015, was to merge the three existing children's hospitals into one 16-storey building adjacent to the Mater Hospital, with 1,000 underground parking spaces. AN EXPERT group set up to look at the implications of An Bord Pleanála’s rejection of planning permission for the new children’s hospital on the Mater site will not decide on a future location. Rather the group led by former HSE chairman Frank Dolphin will examine the implications of the decision, a spokesman for Minister for Health James Reilly said yesterday. The Cabinet is expected to consider the issue on Tuesday. It is also likely to consider the establishment of a second group to focus on whether the planning process can be adapted to allow for consultation with An Bord Pleanála while projects are developed so that they do not fall at the final hurdle. SIPTU SAYS it will go ahead with the redevelopment of its iconic Liberty Hall building after Dublin City Council gave approval for its demolition subject to conditions yesterday. The move will see the razing of the trade union’s landmark 17-storey Eden Quay tower to create office space, a conference auditorium and a rooftop heritage area. If it passes an expected appeal to An Bord Pleanála, the new structure will be 22 storeys and about 100m high. THE head of a review panel for the national children's hospital has claimed a recommendation that a greenfield site was "ideal" was dropped because identifying a new site wasn't allowed. The group's final report, published last August, went on to back plans to build the 585-bed facility on the Mater Hospital site in Dublin, but Bord Pleanala rejected the plans on Thursday. The independent review panel was chaired by UK-based academic Jonathan Erskine. In an email marked "confidential", sent last June, Mr Erskine told panel members he was dropping a paragraph saying a greenfield site would be "the ideal location" for the project. Mr Erskine, executive director of the European Health Property Network told the Irish Independent yesterday his role was a "formal one" of chairing meetings of the financial-review group and liaising with the separate clinical-review group. "We were, of course, concerned to ensure the review panel adhered to the terms of reference which were explicit in stating that the review was not a site-selection exercise and that the comparative element was solely concerned with the three alternative notional sites," he said. "That may have been the reason for rejecting the text. Beyond that I can't really comment," he added. The final report effectively backed the decision to build the hospital at the Mater site and this paved the way for the Government to pledge to fund it in September. But the review panel's draft report contained a paragraph that was later dropped. "The ideal location would be located on green space, provide for unfettered access, accommodate research and educational activity, provide sufficient space to ensure the aggregation of all patient-care services meeting current and future requirements, and be tri-located with an adult tertiary care and a maternity facility," it said. In the email, Mr Erskine said he removed the relevant paragraph because of his concern that, if it was included, "the response will simply be that there is such an ideal site, and the issue will open up again". Dr Roisin Healy, the retired Crumlin Hospital consultant who is part of a group opposed to the Mater site questioned why he included officials from the Department of Health and the HSE in the email correspondence as the group was supposed to be independent. A spokeswoman for the Department of Health insisted yesterday that the work of the international review group was carried out on a completely independent basis. "The email under discussion today was an email from Jonathan Erskine to the international heads of the Paediatric Hospitals. "It was (copied) to the administrative support team in the department for reference only. The department at no stage had any part in the process other than one of a support administrative role." SELECTING THE most appropriate site for a major public project is of critical importance, as underlined dramatically by An Bord Pleanála’s decision to refuse planning permission for the proposed children’s hospital of Ireland on the Mater site in Dublin. Just as the notion of building the “Bertie Bowl” – an 80,000-seat stadium plugged into the M50 that was never built due to its huge cost and the essential madness inherent in it – so it was equally wrong-headed for Mr Ahern to champion the Mater site in his own constituency, with the support of others, as the only possible location for the children’s hospital. A SENIOR minister admitted yesterday he had always had doubts about the choice of the Mater Hospital site for the national children's hospital. Communications Minister Pat Rabbitte said he had "serious doubts" about the site because of concerns that the city centre location would cause difficulties with access, parking, transport and other issues. Health Minister James Reilly has insisted the hospital will go ahead on the site in Dublin's north inner city, but on a scaled-down level. In the aftermath of this week's rejection of the plan by An Bord Pleanala, Dr Reilly was adamant the hospital would be built in the lifetime of this Government, and said the Mater site was not rejected "on the grounds of access or transport". Mr Rabbitte is a TD for Dublin South-West and the mooted alternative site for the hospital in Tallaght falls in his constituency. He said the overriding imperative now was to build the hospital as quickly as possible. Dr Reilly has asked Dr Frank Dolphin, the former chairman of Temple Street Hospital, to examine the decision and report back to him within weeks. Architects and planners are expected to work on alternative proposals for the Mater site, which could include removing training facilities from the plan to reduce its scale. THE GOVERNMENT and, for that matter, the entire political system was dumbfounded by the bombshell dropped on the national children’s hospital project by An Bord Pleanála. Leaving aside the rights and wrongs of the decision, it illustrates the dilemma faced by politicians on a regular basis. The quandary facing the Coalition is that no matter how it responds it will alienate one or other powerful interest group. The parents of sick children and their doctors will be up in arms if the project is delayed or abandoned, while environmentalists and residents will be outraged if it proceeds. The decision by An Bord Pleanala to refuse planning permission for the proposed National Children's Hospital at the Mater, hopefully marks the final act of what can only be described as a fiasco. With €35m having already been squandered on the project, virtually no one -- politicians, the Department of Health, the HSE, medical professionals and others involved -- emerges from this sorry affair with their reputations enhanced. Ever since the original decision to locate the new National Children's Hospital on the Mater site was announced in June 2006, the project had been dogged by controversy. The suspicion, whether justified or not, that the decision in favour of the location was at least partially motivated by political considerations -- the Mater was located in former Taoiseach Bertie Ahern's constituency -- has lingered like a particularly unpleasant odour. What is certainly true is that these suspicions poisoned debate on the issue of where the National Children's Hospital should be located. However, even if political considerations played no part in the decision, there were still enormous problems with the Mater site. Located to the north of Dublin city centre it was not readily accessible to people living outside the M50 or even to those living south of the Liffey. Not surprisingly, the notion of a "National" Children's Hospital that wasn't readily accessible to over 90pc of the country's population struck many people as absurd. Access wasn't the only problem. With the proposed National Children's Hospital at the Mater having to be constructed on a tight, inner-city site, the architects and engineers had no option but to design a tall building -- a very tall building. The result would have been an edifice more than 550ft long and 240ft high. Such a gargantuan structure would have towered over Dublin's northside. So why, if the problems with the Mater site were so apparent, did no one shout stop? One man did. In 2007 Philip Lynch, the former chief executive of food company IAWS and one of the most successful businessmen of his generation, was appointed as chairman of the development board charged with overseeing the €650m National Children's Hospital project. When, in October 2010, Mr Lynch informed then Health Minister Mary Harney of his doubts about the suitability of the Mater site he was forced to resign. Unfortunately, Mr Lynch's warnings went unheeded until yesterday's Bord Pleanala decision. Instead of seeking to blame An Bord Pleanala, Health Minister James Reilly and his Cabinet colleagues should instead grasp the opportunity to revisit what was a flawed decision in the first place. Now that they have got a second chance the Government must get it right. The children of Ireland deserve no less. TAOISEACH ENDA Kenny has pledged that the new national children’s hospital will be built within the lifetime of the Government despite the shock decision of An Bord Pleanála to refuse planning permission for the project on the Mater site in Dublin. The expectation in Government circles is that an effort will be made to proceed with a scaled-down version of the children’s hospital at the Mater site, but no decision will be made until two expert committees established in response to the decision have reported back. A revamped planning application for the National Children's Hospital at the Mater site will take 18 weeks or less for a decision once submitted to An Bord Pleanala, it emerged yesterday. However, it is unclear how much of a delay there will be before revised plans for the hospital are ready for submission, after the original design was rejected by An Bord Pleanala last week. An expert group, chaired by former HSE chairman Dr Frank Dolphin, will be formed this week to analyse An Bord Pleanala's decision and come up with a number of suggestions which will go to Health Minister James Reilly. The group, to be announced this week, will be discussed at today's Cabinet meeting and will be made up of planning and design experts, as well as paediatricians. The task will be to come up with a smaller version on the Mater site without compromising the standard of care needed for sick children. An Bord Pleanala last week rejected the planning application for the €650m hospital on grounds of height and scale -- pushing back the 2016 opening date yet again. The hospital's development board, which gave the go-ahead to the original plan, will meet for the first time to discuss the decision. Before any new design is drafted, a series of pre-planning meetings will take place with inspectors from An Bord Pleanala to discuss key issues. An Bord Pleanala took 22 weeks to consider the original application but it is likely to meet its 18-week target deadline for any second application because so much has already been analysed. A spokesman for the development board said yesterday that work had already begun on looking at new design options. DUBLIN City Council has given the go-ahead to an ambitious project to demolish the existing 16-storey Liberty Hall -- and replace it with a structure one-third higher again. SIPTU, which owns Liberty Hall, was last night keeping quiet on the cost of its proposal to replace the Dublin landmark. The 22-storey building will be "self-financed" through a combination of existing union funds and the leasing of office space. Dublin City Council had received a number of objections to the planning application, particularly in relation to the proposed height, and further opposition is almost certain to be filed with An Bord Pleanala. Designed by Gilroy McMahon Architects, who were also responsible for Croke Park, the proposed facilities include a 300-seat theatre at lower ground level. The design also proposes a four-storey heritage centre at the top of the building and a public 'skydeck', to be reached by glass lift. A 'double height' public entrance area, a theatre and conference centre, are also part of the plan. Objections can be filed within the next month. The union said that once planning hurdles were cleared it would take up to two-and-a-half years to demolish the existing building and construct a new one. However, the price tag of the lavish project is being kept strictly under wraps, with just "two or three" senior officials in the know. "They are looking for the best price possible (through a tendering process)," a spokesman said last night. Some 19 conditions are attached to the permission, including changes to the design of the lower four floors in order for the structure to remain in keeping with the existing streetscape. SIPTU general secretary Joe O'Flynn said the rationale for the re-development was that the building didn't meet the union's needs in the 21st Century. The project will create an estimated 200 construction jobs. Built in 1965, Liberty Hall was the city's first high-rise building. POLITICS, planning and the lives of sick children: the potent mix of issues which fuelled the debate over the new national children's hospital was always going to be volatile. But nobody could have predicted that the much-needed project to improve the health of the nation's children would be so prolonged -- or end up in such a sorry mess yesterday after An Bord Pleanala rejected the plans to build it on the Mater site. The plan in 2005 was to close the three existing children's hospitals housed in outdated facilities in Dublin and bring them all under one roof in a state-of-the-art building which would open its doors in 2012. The opening date was then pushed back to 2014 and again, more recently, to 2016. But now it's back to the drawing board and an uncertain future. There were too many vested interests involved along the way as the project became embroiled in a heated dispute over the location. Former health minister Mary Harney was not for turning and insisted she was convinced of the merits of locating at the Mater. By the time she left office, tens of millions had been spent and there seemed little point in pulling the plug. In 2005, consultants McKinsey were asked to compile a report on the "strategic organisation of tertiary paediatric services for Ireland". A task force was set up and it recommended the Mater site, a choice that was strongly influenced by the new hospital being co-located with the adult hospital. The government decision in 2006 to accept the task force's recommendation sparked accusations of favouritism because it was located in then Taoiseach Bertie Ahern's constituency and in the hospital where he had worked as an accountant. However, it was the medical politics which were even more fierce and turf wars erupted as many prominent doctors in each of the existing hospitals -- Temple Street, Our Lady's Hospital for Sick Children and Tallaght -- laid claim to the right to have the new building located either in their campus or nearby. The board of Crumlin Hospital refused for a long time to join the group planning the new hospital and bitter opponents of the Mater site criticised the cramped campus, access problems and traffic gridlock which they claimed would surround it. A development board was set up early on and a chief executive, Eilish Hardiman, was appointed as costs covering everything from hiring planning and other experts to staff salaries mounted into tens of millions. By 2011, the bill had risen to between €550,000 and €650,000 a month, on top of the €29.3m that had already been spent. It had also became even more complicated when developer Noel Smyth weighed in and offered to build the new hospital at cost on a greenfield site. The question of financing the construction of the hospital constantly hung over it.The State would cough up €450m but around €200m was dependent largely on charity or philanthropic sources. It was hit by another bombshell when the chairman of the development board, Philip Lynch, was forced to resign in October 2010 after Mary Harney was told that he no longer had faith in the Mater site. HE was replaced by developer John Gallagher, who was due to power ahead with the Mater location. But in March of last year, he also delivered his resignation letter to the new Health Minister, James Reilly. Dr Reilly said he was going to ask a review group to look again at the Mater site. But this spurred Mr Gallagher to step down, saying there was a "risk of incurring further material ongoing costs in the project without full government support". He was replaced by enterpreneur Harry Crosbie and everything seemed to be back on track after Dr Reilly's review team, made up of experts from abroad, backed the Mater site. The expectation was that so much debate and bloodletting -- as well as the pressing need to treat children in modern hospital facilities -- would make it a certainty for planning permission. There was also a pledge that the 445-bed hospital would receive government funding, part of it coming from the National Lottery. But An Bord Pleanala's reasons yesterday for rejecting the planning application -- referring to how the hospital high-rise would detract from the "vistas of O'Connell Street and North George's Street" -- looked on the face of it to be overly fussy when set against the needs of sick children. It has created a new limbo and in the meantime the three existing children's hospitals continue to be at risk of lacking the level of necessary investment needed to deliver the kind of service that young patients deserve. THE HEIGHT, bulk, scale and mass of the proposed children’s hospital of Ireland on the already elevated Mater site in Dublin “would have a profound negative impact on the appearance and visual amenity of the city skyline”, according to An Bord Pleanála. In what An Taisce described as “one of the most significant planning decisions in its history”, the board refused permission for the €650 million scheme, saying it would result in a “dominant, visually incongruous structure” in the northside Georgian core. With so much time already squandered, it is important to recall there are other options, writes DR MUIRIS HOUSTON. THE REJECTION by An Bord Pleanála of the Mater as the site for the much delayed national paediatric hospital is first and foremost a blow to the children of this country. And not just for those who currently avail of paediatric care here but for all children in the Republic, including those who may become ill before this saga finally closes with the building and opening of a new facility. THE GOVERNMENT intends providing the necessary finance and building a national children’s hospital, Tánaiste Eamon Gilmore has said. He said the Government would now have to consider what options were open to it in light of An Bord Pleanála’s decision. It would have to examine if changes could be made to the existing project to satisfy the board in a new application or if an alternative site was required. ANALYSIS: An Bord Pleanála has done a good day’s work by refusing permission for children’s hospital plan at Mater hospital, writes FRANK McDONALD THE MOST amazing aspect of the children’s hospital of Ireland saga is that it doesn’t seem to have impinged on the imaginations of anyone involved in this ill-fated project that the restricted nature of the Mater site in Dublin would inevitably result in an incredible hulk. The news that An Bord Pleanála had decided to refuse permission for the proposed national children’s hospital on the Mater site in Dublin was surprising. I had expected the board would find a way to approve this controversial project, simply because the Government was so determined to go ahead with it. After all, ministers had already decided to allocate €200 million from the proceeds of selling the National Lottery to fund the proposed development. 2006 February: Report by consultants McKinsey recommends a single world-class tertiary paediatric centre amalgamating three existing children’s hospitals in the capital. New facility to be located in Dublin adjacent to an adult hospital. 2006 June: HSE taskforce selects the Mater campus as the site. This is endorsed by the government. 2007 May: National Paediatric Hospital Development Board established by then minister for health Mary Harney. 2009 October: Then taoiseach Brian Cowen says the hospital will open by the end of 2014. 2010 October: Board chairman Philip Lynch resigns after Ms Harney hears he questions the site’s suitability for the project. 2011 March: The board’s second chairman, John Gallagher resigns saying he is at “risk of incurring further material ongoing costs in the project without full government support”. 2011 May: Minister for Health James Reilly announces independent team to review site decision. 2011 July: Independent team’s report affirms the correct site was chosen. A planning application for the new hospital is submitted to An Bord Pleanála. 2011 October: Enormous scale of the hospital on Mater site emerges as the key issue in the first week of An Bord Pleanála’s oral hearing on the €650 million Government-approved project. 2012 January: An Bord Pleanála defers a decision in relation to the hospital which because of the complexity of the case. LAST week we reported how two Dublin City councils – Dún Laoghaire Rathdown County Council and Dublin City Council – made a joint bid for the four-acre site beside Booterstown Marsh, once owned by developer Bernard McNamara and now being sold by receivers RSM Farrell, Grant and Sparks acting on behalf of Nama through Jones Lang La Salle. However, it is believed that the council’s bid has been trumped by two separate bids from business concerns. TANAISTE Eamon Gilmore and singer Christy Moore have sharply criticised the Department of the Environment for allowing local residents just 21 days to object to plans to drill for oil off the coast of Dublin. The pair are among hundreds of residents in south Dublin who have made submissions on an application by Providence Resources to explore the Kish Basin near Dalkey Island for oil and gas. And Mr Gilmore said that a public hearing should be held if the company strike oil and seek permission to erect an oil rig and go into production. His submission says that "exceptional care" should be given by his cabinet colleague, Environment Minister Phil Hogan, in approving a foreshore licence which would allow Providence to explore the area, about six kilometres off the Dublin coast. The Tanaiste said he was concerned about the 21-day period for public consultation, saying it would be "helpful" if more time was given, adding that areas where exploration was proposed was of "significant importance" to the tourism and fisheries industry. "The issues which arise include the possible damage to areas of fishery conservation, the consequences of any possible oil spill not only on the marine environment but also on the amenity of Dublin Bay...I therefore believe exceptional care should be given to this foreshore licence application," he said. Previous studies and exploration drilling have indicated the possibility of oil or gas reserves in the area and under the plans, a seismic survey will be carried out and drilling will follow based on these results. The application is currently under review by specialists in the Department of the Environment, and a decision is expected later this year. AN BORD Pleanála is to commission a report on the feasibility of running the Luas through sensitive areas of Dublin city centre without overhead power cables – as has been done in the French city of Bordeaux. In a letter to the Railway Procurement Agency (RPA), the board said it was commissioning the independent report because it was “not satisfied” that alternatives to overhead power cables had been “adequately explored”. A PRIVATE consortium is planning to establish a €60 million private hospital that will create 600 jobs in Ennis. Duesbury Ltd is planning a 97- bed hospital within the 19th-century protected structure that housed the former Health Service Executive-run Our Lady’s Psychiatric Hospital on the northern outskirts of Ennis. A PLANNED new dual carriageway in Limerick would involve “an obtrusive and elevated roadway” over a stretch of the river Shannon’s floodplain, local residents have claimed. The proposed highway, which is designed for up to 30,000 vehicles a day, would run from the old Dublin-Limerick road, then north of the University of Limerick, crossing the river Shannon near Ardnacrusha and then onwards via Parteen to Knockalisheen. TWO Dublin county councils have made a joint bid for the four-acre site beside Booterstown Marsh that was once owned by developer Bernard McNamara and is now being sold by receivers Farrell, Grant and Sparks acting on behalf of Nama. The site which Bernard McNamara once used as a helicopter landing pad, before An Bord Pleanála ruled he had to stop, is beside the nature reserve which has EU Special Protection Area conservation status. NORTH MAYO residents have begun a series of protests to reclaim the road they say is being lost to the local community and overtaken by heavy traffic of working equipment and haulage associated with the Corrib gas project. The residents, who are not aligned to any formal protest grouping, say they feel “abandoned by the State and all its agencies”. AN BORD Pleanála will ultimately determine the fate of Blake’s Corner in Ennistymon, Co Clare, where two historic buildings are faced with demolition to make way for a traffic roundabout on the road to Lahinch. This follows a decision by Clare County Council management to commission an environmental impact statement (EIS) on the scheme, at an estimated cost of €40,000 to €50,000 – in addition to fees payable to the appeals board for dealing with it. DERRY's iconic Peace Bridge has taken the top prize in the National Planning Awards. The bridge, which spans the River Foyle, took the overall award with the former British army Ebrington Barracks in a project submitted by the Ilex Regeneration Company. Other winners include Grand Canal Square in Dublin and the Julianstown Village Design Statement. DERRY’S PEACE Bridge and the associated Ebrington Barracks regeneration project have won the top prize in the Irish Planning Institute’s national planning awards. 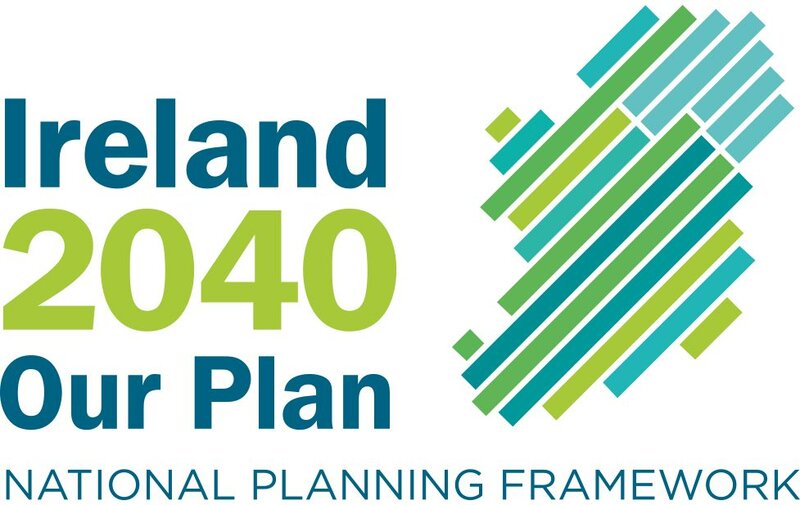 Presented by Minister of State for Housing and Planning Jan O’Sullivan, the awards “aim to highlight the best examples of planning practice and to raise the standard of townscape design and planning awareness both within the public and private sectors”. DUBLIN CITY Council has been strongly urged to refuse planning permission for the demolition of Liberty Hall by a group committed to preserving monuments of the Modern Movement and by the Irish Georgian Society. Docomomo Ireland says Siptu’s plan to build a much taller tower on the site “would result in the irreplaceable loss of a heritage structure of national importance [which] has embedded itself in the collective consciousness of the city, even the nation”. INDAVER IRELAND has offered to take over the controversial Poolbeg incinerator project from US waste management company Covanta, at no cost to its principal promoter, Dublin City Council. John Ahern, Belgian-owned Indaver’s Irish managing director, said the offer, made last week in a letter to the council, would involve scaling down the proposed “waste-to-energy” plant from a capacity of 600,000 tonnes per year to 400,000 tonnes. Dublin’s Croke Park involving a new “processional entrance” to the stadium, offices, restaurants, shops and handball facilities is planned by the GAA. The development, which would include the regeneration of the 1960s flat complex Croke Villas, will depend on the GAA reaching agreement on the purchase of land from Dublin City Council. THE RECENT claim by Tamboran Resources that there could be over two trillion cubic feet of natural gas locked in shale beneath the surface of north Leitrim and adjoining counties has shown that Ireland now stands at the threshold of a new “age of extreme energy”, as the Post Carbon Institute has dubbed it. Australian-owned Tamboran describes itself as an “innovative explorer for hydrocarbons in Australia and overseas”, using hydraulic fracturing – commonly known as “fracking” – to capture shale gas in onshore locations. The benefits of bringing such gas into production, especially given our overwhelming dependence on imported fossil fuels, are obvious. But so are the risks. In an official statement on the current situation regarding the development of Sligo Town Centre by a subsidary company of Treasury Holdings. Callside Developments Ltd and Treasury Holdings was recently taken over by NAMA, the state's National Asset Management Agency - now recognised as one of the largest property companies in the world. 'Treasury Holdings/Callside Developments Ltd. continue to brief Sligo Borough Council in respect of their ongoing negotiations with the National Asset Management Agency (NAMA). The council is also aware that there is a High Court Hearing in respect of these negotiations scheduled for the 21st of February and is not is a position to make further comment in advance of the outcome of the scheduled High Court Hearing. FUNDING TO the tune of € 200,000 is being sought for the Glenmore Waste Water Treatment Plant. Kilkenny County Council are currently seeking this funding from Minister Phil Hogan's Department of Environment, Community and Local Government to address issues pertaining to the current basic scheme. According to local Fine Gael Councillor, Fidelis Doherty, on receipt of approval of funding a design for the scheme will be drawn up. THE DEPARTMENT of the Environment offered Wicklow County Council a loan of €5 million in 2009 to cover the cost of a compulsory purchase order on 3.5 acres of land despite dismissing the local authority’s reason for taking over the property by way of such an order a year earlier. ‘Depth and complexity’ of case blamed for delay. An Bord Pleanála has deferred a decision in relation to the new National Children’s Hospital which was due this week because of the complexity of the case. Interested parties had expected a decision by Thursday, 18 weeks since the end of the oral hearings into the project, which will be one of the biggest infrastructure projects undertaken in the coming years. SHELL Ireland has received a fresh cash injection of €90m from its parent to deal with the spiralling costs of the Corrib gas field project. Documents filed with the Companies Office confirm the additional monies as Shell Ireland revealed that the 5km on-shore gas pipeline will not be completed before the second half of 2104. Corrib partners Shell, Statoil and Canadian-owned Vermillion are nine years behind the initial target to start generating revenue from the field. The initial estimate for developing the field was €800m; the final bill is now expected to be more than three times that, at near €3bn. The company documents show that Shell E&P Ireland's Ltd's authorised capital now tops €704m. "The €90m is to support our ongoing activities on Corrib," a spokeswoman said. The project partners had hoped gas would be brought ashore last year -- however, this was before An Bord Pleanala ruled that half of the proposed overground pipeline would be unsafe, necessitating the application for a tunnel. Spending on developing the field is expected to increase this year by an additional €378m. The total Corrib spend at the end of December last was an estimated €2.35bn. THE NATIONAL Asset Management Agency is planning to set up funds backed by properties acquired from receivers it has appointed, to sell on to investors. The State loans agency has issued a tender seeking proposals from investment managers to set up the property funds, known as qualifying investor funds. THE WESTERN Rail Corridor project has stalled again as Iarnród Éireann continues to negotiate with a third-party developer, it has emerged. Planning permission was granted for the new station at Crusheen along the Ennis to Athenry route last June, but work has yet to commence. Just two out of the 31 Fine Gael and Labour councillors on Cork County Council are outwardly opposed to the planned septic tank charge and inspection regime, which has generated massive resistance across the county. The 31 councillors were all contacted by the Irish Examiner by telephone this week. Goleen-based county councillor, Dermot Sheehan was the most vociferous in his opposition. "I am not happy with the charge. I have written to Minister Hogan and Fine Gael headquarters repeatedly about this". He says the Department of the Environment has told him, however, that "there is no question of people having to upgrade their tanks to comply with the EPA’s 2009 code of practice". His belief is that any septic tank built before that date will just have "to function properly" as was required at the time of its planning permission. In Macroom, Labour’s Martin Coughlan criticised the Government’s approach to the new charge, saying it has been a public relations disaster. "They went around it the wrong way. If the inspections were free, there wouldn’t be half as much agitation." "The thing is the €50 won’t raise a lot of money. I’m not sure about the wisdom of the charge as they should have got the money in some other fashion as everyone is watching their money and only a small percentage of rural dwellers will be at fault. "Also, it’s a bit like clamping in the cities. Nobody wants to see them attempting to use power excessively to clean up a small amount of offenders," he said. In Ballincollig, Fine Gael’s Derry Canty said he understood how rural dwellers "are scared that this is just the start and that the charge will increase in time". A large number of the Fine Gael and Labour TDs have called on the Government to soften the blow for their constituents by establishing a retrofit scheme, similar to the green energy system, so they can get help with any upgrades that might be necessary. Bantry-based Tom Sheahan said: "I feel very strongly about water being protected. If there are problems with some tanks, there’s a serious need for grant aid then to help those people out. But first we need to identify the problems"
Fine Gael’s John O’Sullivan, based in Courtmacsherry, said people need to realise that the cost of contaminating a neighbour’s water supply is far higher than €50. Telecommunications masts dominating the skyline of north Kerry will remain in place. An Bord Pleanála has again reversed a decision by Kerry County Council and allowed Towercom Ltd to retain a 35-metre mast on Knockanore mountain, near Ballybunion. The council has been refusing planning permission for the retention of masts under its policy not to allow such masts within 1km of houses and residential buildings due to health concerns. The Knockanore mast is about 600 metres from the nearest house. Hugh Mannion, an inspector with the planning board, dismissed the council’s reservations about possible dangers of non-ionising radiation and said their stance is contrary to national policy on telecommunications. Towercom submitted that it was strategically important to retain the mast for emergency services, adding its loss would impair telecommunications in the area. An Taisce told the planning board the mast was one of a number in the area, describing it as visible and bulky and "by far the worst in the cluster". An Taisce said the option of sharing the facility with other operators, as well as screening, had not been fully considered by Towercom. While Mr Mannion acknowledged the mast was visible over a wide area, he said he felt the alternative might be several masts at more dispersed locations with consequent visual intrusion. He also pointed to the lack of natural vegetation at the site and its exposed, windswept nature. It was unlikely a substantial impro-vement could be achieved by screening, he said. The former Bank of Ireland headquarters on Baggot Street has been making the news for five decades. The purpose-built offices were constructed between 1968 and 1978 in an uncompromising "modernist" style that was controversial. It can still shock first-time visitors to Dublin's mostly Georgian-era Baggot Street. The distinctive green-brown facade's exposed steel and tinted glass reportedly used so much bronze manganese that global markets for the commodity were affected during construction. It was designed for the bank by Donald Tallon of Dublin architects Scott Tallon Walker. Public reactions to the building have always been mixed but it served as a home to Bank of Ireland for 40 years before it was sold to the Derek Quinlan investor consortium in 2006. The three-block building housed around 1,700 Bank of Ireland staff until 2010 when the bank moved most of its head-quarters to Mespil Road. The Quinlan-led group paid around €200m for the property, seeing off rival offers from underbidders understood to have included investment company Bank of Ireland Private, Green Property, Bernard McNamara, Shelbourne Developments and Treasury Holdings. Despite the brutality of its facade, the building has always had its admirers. Nobel laureate Seamus Heaney emerged as part of a successful campaign to block the Quinlan-led investors getting planning permission to develop a two-story extension in 2008. New owners Bank of Scotland and its partners will be hoping the distinctive property can win over a new generation of corporate titans before too long. UCC are set a develop a new centre of excellence for sport in the third-level institution on a 100 acre site on the western outskirts of Cork city. The acquisition of the land at Curraheen, to the south of the N25 Ballincollig bypass, is a joint venture with the Munster Agricultural Society. The land will be divided between the two organisations, with UCC planning to use the development to cater for the needs of the university’s 60 sports clubs. It will augment their existing facilities at nearby The Farm in Curraheen and the major €12m investment programme which is close to completion in the Mardyke Arena and Pavilion, near the college campus. World-class grass and all-weather pitches, along with modern changing-rooms and indoor support facilities, are all in the pipeline to be constructed at the new Curraheen site. PLANS HAVE been announced to extend the famous west Clare railway into the market town of Kilrush within the next two years. Jackie Whelan, originally of the committee for the Restoration of the West Clare Railway, said yesterday that after Kilrush, he was planning to extend the line to Kilkee and to provide a rail-link to the €150 million Doonbeg Golf Club resort on the Clare coast.